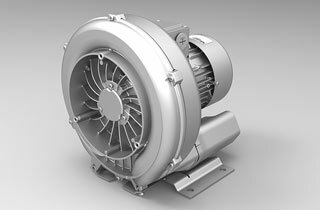 If you are looking for high quality vacuum pumps and blowers that are suited for applications such as central vacuum systems, look no further than Airtech Vacuum Incorporated. Whether you need to source for new parts for an upgrading or maintenance procedure, we have got you well covered. Central vacuum systems help their owners avoid having to carry around a bulky appliance since the motor is stationary. These systems are designed to remove dust and debris in living areas so that there is no re-circulated dust or unpleasant smell. At the core of a central vacuum system is the central vacuum power unit. 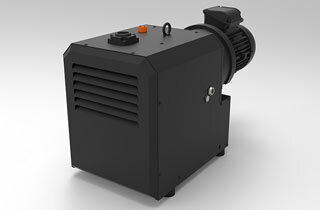 This is a powerful motor that provides reliable suction and deep cleaning. The filter within the system is responsible for separating debris. Depending on the capacity and type of the filter used, you should replace them every three months to a year. Next, vacuum units can be installed in remote locations such as the basement or garage. 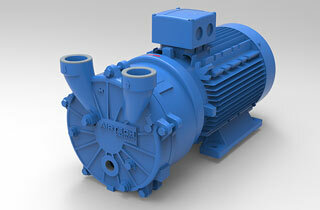 Another prominent part of this type of vacuum system is its central vacuum hoses. They come in an array of lengths, and are usually crushproof, flexible, and lightweight. The main types of hoses include the traditional vacuum hoses (which are long and has two ends) and hide-a-hose variations (these hoses are contained in the pipes of the system). 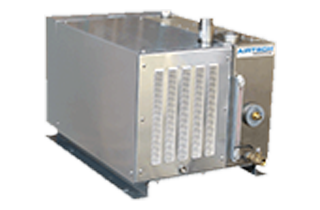 Why Choose Airtech Vacuum Incorporated For Central Vacuum Systems? Whether you are planning to use your central vacuum system for dental vacuum applications or to remove dirt nestled between appliances, Airtech Vacuum Incorporated has got you well covered. Our company was established in 1982 and we are a CSA-certified manufacturer and distributor of a wide range of vacuum technologies. When you purchase vacuum systems from us, you can enjoy complete peace of mind because our products are built to last cycle after cycle. The low cost of maintenance are one of the benefits that our solutions provide. We aim to help you keep your equipment up and running without breaking the bank. What’s more, our reliable vacuum solutions are available at extremely competitive rates. We are constantly adding cutting edge vacuum products to our inventory. You never have to go through the hassle of looking elsewhere for a certain item etc. We carry the latest sugar production vacuum technologies here! Airtech understands that every company is unique. If you are looking to get custom engineering solutions, our dedicated team is always ready to assist you. We will analyze your situation and propose the most effective solution for your needs. When you work with Airtech, you never have to worry about being given cookie-cutter solutions that do not benefit your business objectives. With more than three decades of experience in this field, we are confident of adding tremendous value to your central vacuum systems business. Start browsing through our inventory for high quality central vacuum system pumps today and shop with confidence!